Hello! I swear, each time I try to take a photo for my blog, mother nature decides it is going to be windy! My hair is over all over the place in these photos! LOL! Speaking of weather, we had tornados on Monday evening, today is supposed to be 70 degrees, and Saturday it is supposed to snow! I have to have my entire wardrobe out for each of these crazy days! 1. 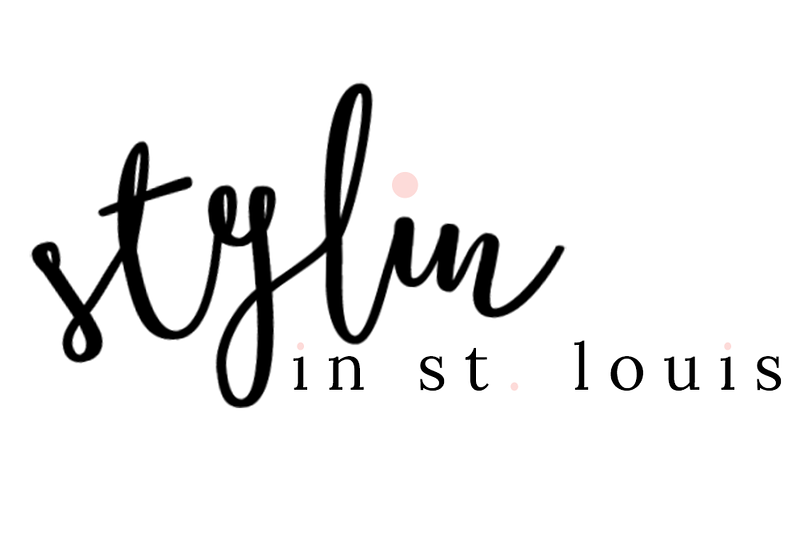 We kindly ask that you follow the two hosts: Elle from Living in Color Style, Jacqueline from Stylin' In St. Louis, and our guest host Kelsey of Blondes and Bagels. 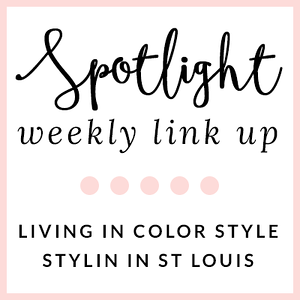 Spotlight: Our spotlight of the week is KaSonndra Leigh of Live Well…Be Fabulous! 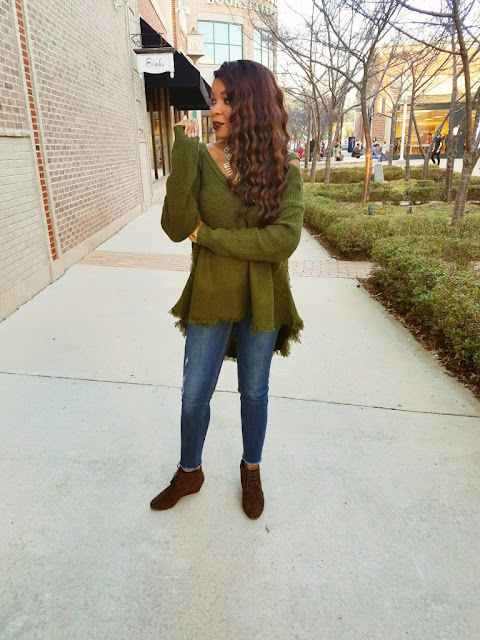 We love this trendy look that KaSonndra Leigh has put together! Her green cold-shoulder top is perfect with her jeans! What a gorgeous color on her! Be sure to check out her blog! You look so gorgeous! This is such a perfect work friendly outfit and your hair looks amazing! love this classic look, this blazer is gorgeous. Love this classic work look! So chic! GREAT Blazer, you look sleek and sophisticated!!! I love your white blazer, very classic look! 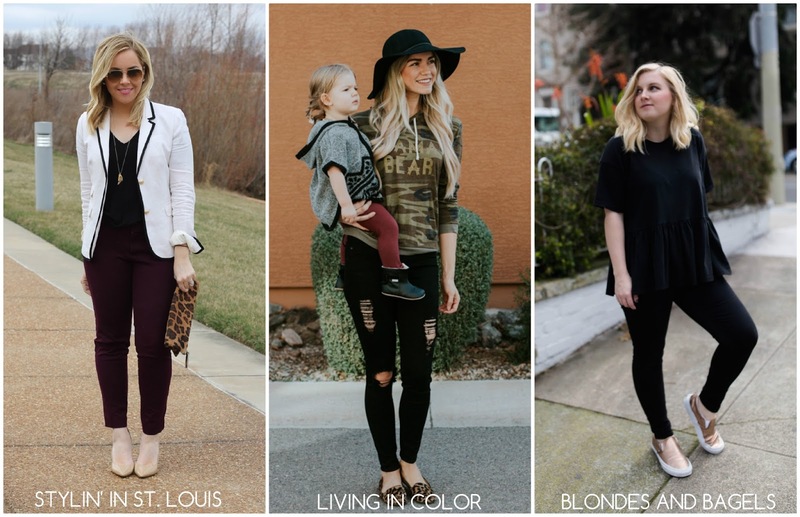 That blazer is gorgeous, lady- and so versatile! I love that white blazer!!! I think I need to add to my wardrobe. Your weather is being bipolar like ours. I think wind is a blogger's worst enemy---I can deal with the cold, but the wind---ugh!! But I love this blazer, Jacqueline! It's perfect!! I hate windy days for outfit pics! You still managed to get some cute ones though! 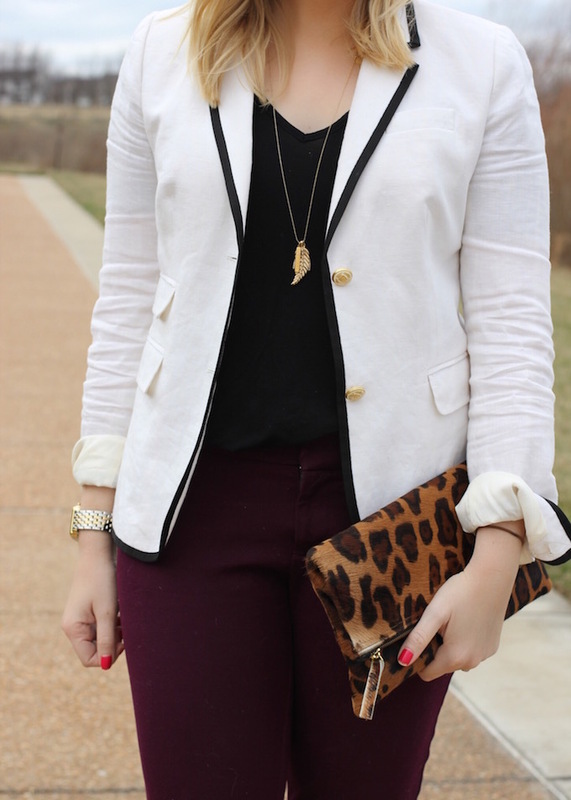 Love the burgundy pants and white blazer combination! I've been trying to get a few more wears from my burgundy pants before spring really hits and this is great inspiration! The pictures still look great despite the wind! Love the two pocket detail on this blazer. I love this blazer! The black piping adds such a fun touch, and I love it with the burgundy pants! What a great blazer! Love the black piping detail! In love with this look! Your blazer is so pretty and compliments your burgundy pants so well. Gorgeous! Yes! St. Louis weather has been crazy lately! I just love this clean lined blazer with the burgundy colored pants! All three of you look amazing! I love this blazer on you! Love that blazer! I love just about anything black and white. Such a chic outfit!!! Love that blazer and those pants!! !